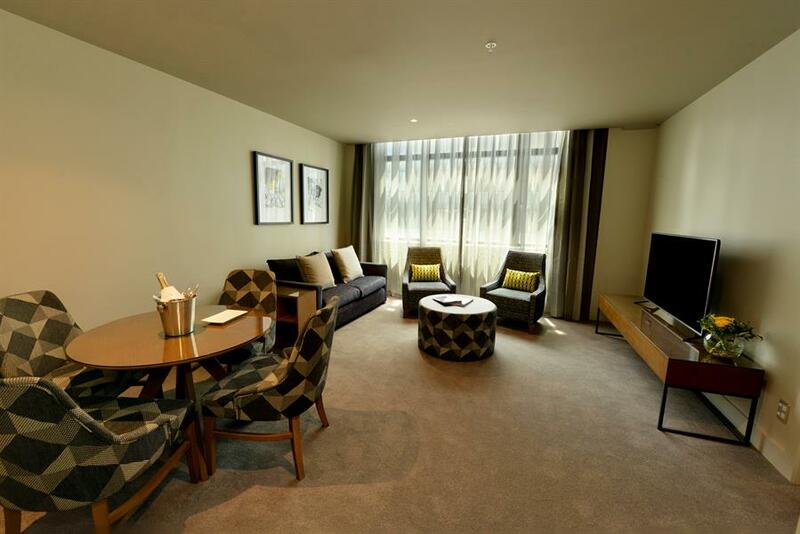 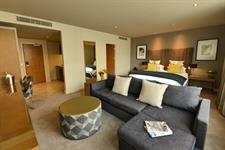 1 night in an Executive Studio + room service breakfast for 2 people. 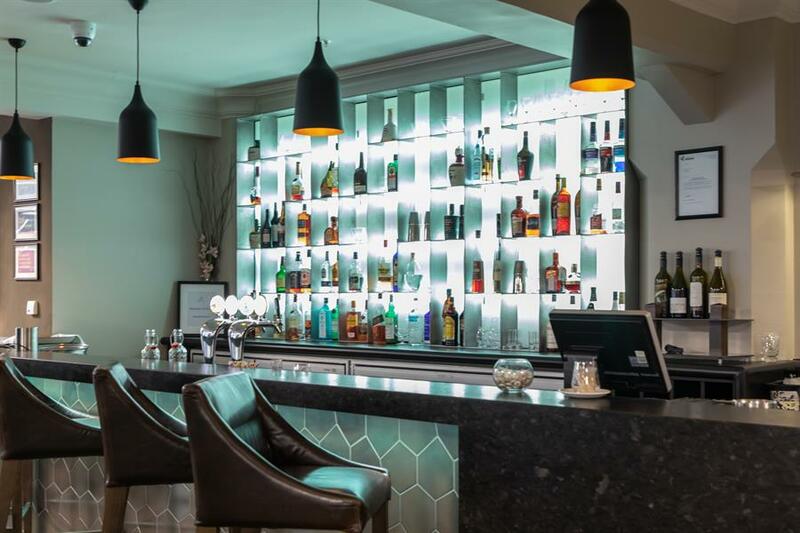 Complimentary bottle of wine, chocolates & more! 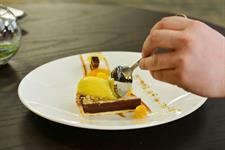 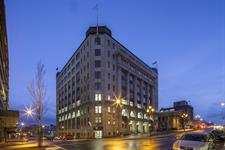 Treat the family to a night at Distinction Dunedin + visit Otago Museum Tuhura Science Gallery. 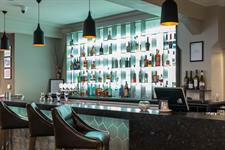 Breakfast, FREE unlimited WiFi, complimentary valet car parking & more. 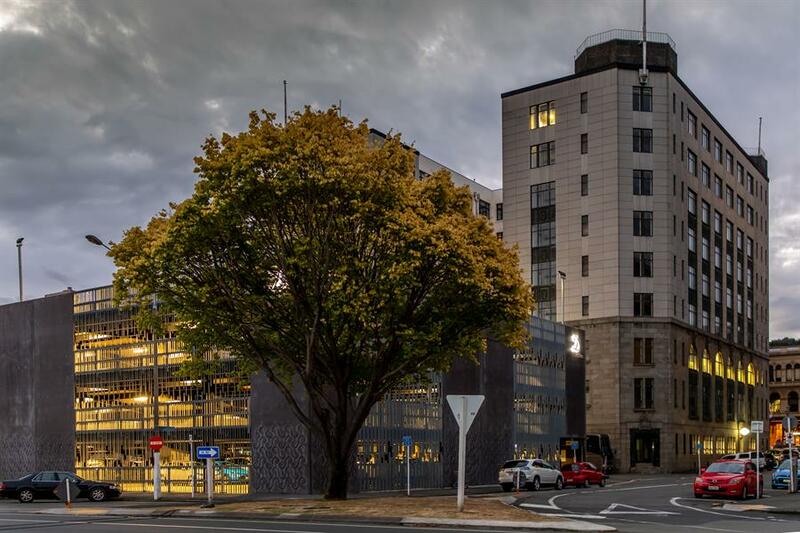 Spend an unhurried weekend in vibrant Dunedin! 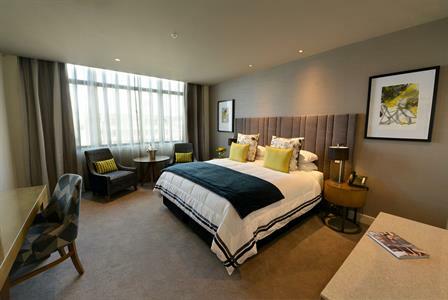 1 night’s accommodation in a Studio + breakfast, complimentary valet car parking, FREE use of the on-site gym, FREE unlimited WiFi & late checkout. 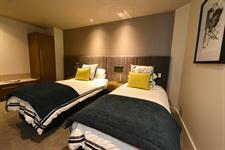 Only $249 for 2 people. 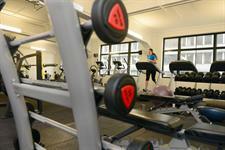 Guests at Distinction Dunedin Hotel can enjoy complimentary access to the Air Fitness Club Gym during their stay. Located on the 3rd floor of the hotel. Experience the delicious cuisine and outstanding service for yourself! 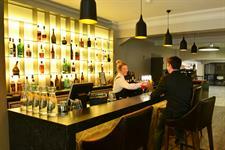 NOW OPEN at Distinction Dunedin Hotel for breakfast, lunch and dinner. The Distinction Hotels Group has transformed the 1937 former Chief Post Office in Dunedin into an elegant 4 1/2 star luxury hotel, located in the rejuvenated and vibrant Warehouse Precinct in the heart of the city. 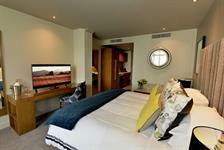 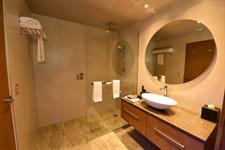 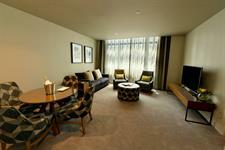 The modern Distinction Dunedin Hotel consists of 121 elegant suites and studio rooms. All offer superior soundproofing and are outfitted with a microwave, washer/dryer, 55" televisions and luxurious walk-in showers with double showerheads. 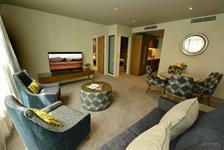 FREE high speed WiFi is available to all hotel guests with no time limits or data cap. 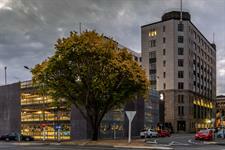 Distinction Dunedin is a 2018 Travellers Choice Winner, ranked 4th out of all hotels in New Zealand on TripAdvisor. Offering a variety of premier accommodation to suit everyone from the businesses traveller requiring spacious and modern facilities to those wanting a relaxing weekend away. 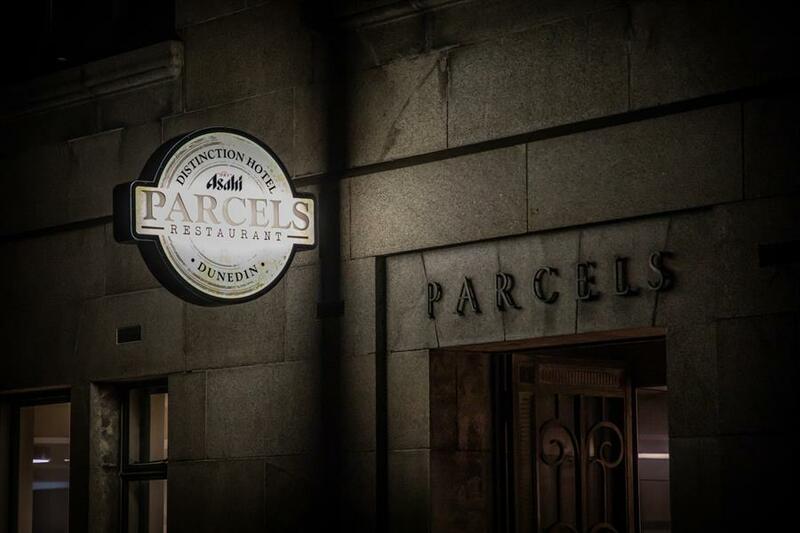 Enjoy pre-dinner drinks with colleagues or friends in the stylish Post Bar and the popular Parcels Restaurant is open daily for breakfast, lunch and dinner. Alternatively experience private dining with a unique twist. The original vaults of Dunedin's former Chief Post Office tucked away behind the hotel lobby, have been converted into private dining rooms. 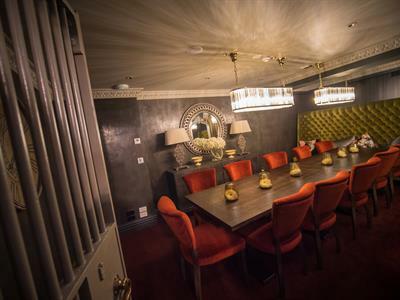 Setting the scene for intimate dining and special occassions that require a unique touch of timeless elegance and nostalgia. 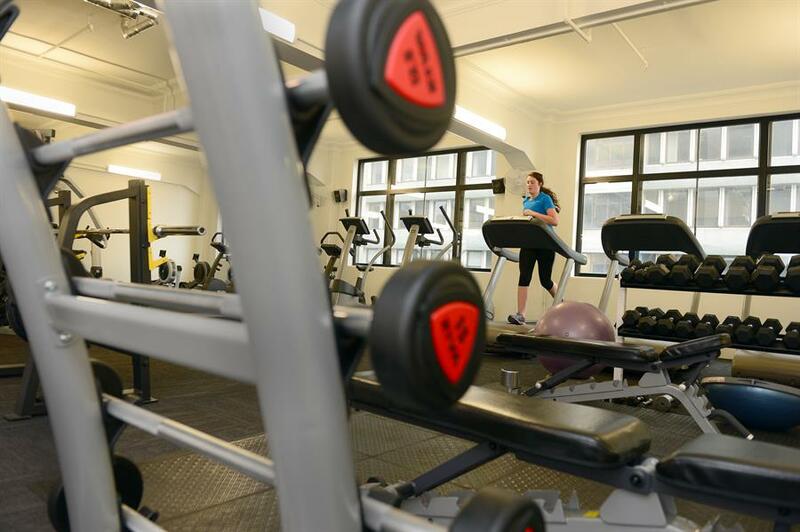 Guests can take advantage of complimentary access to the on-site club gym at Air Fitness , Dunedin's premium health and fitness club which is located on level 3 of the Distinction Dunedin Hotel building and is open 24 hours, 7 days a week. 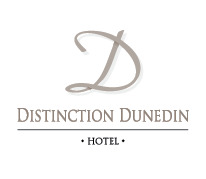 Distinction Dunedin also offers guests a choice of either valet or self-parking in the hotel's on-site carpark at a cost of $20 per day.